Stacy Fischer makes her Boston Center for American Performance debut and returns to New Repertory Theatre after performing in A Christmas Carol, Fool For Love, Picasso at the Lapin Agile, and My Name is Rachel Corrie. Recent Boston area credits include Franklin (Boston Playwrights’ Theatre); Miss Julie, The Kritik, and The River (Harbor Stage Company); Luna Gale (Greater Boston Stage Company); and Necessary Monsters (SpeakEasy Stage Company). 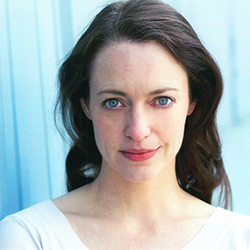 Stacy has performed in numerous theatres in the Boston area including Central Square Theater, Gloucester Stage, Huntington Theatre Company, Lyric Stage Company, North Shore Music Theatre, and Wellfleet Harbor Actors Theater. She is the recipient of an Elliot Norton Award for Best Actress for her role in Hysteria (Nora Theatre). Stacy is a graduate of Emerson College, and is a founding member of Harbor Stage Company in Wellfleet, MA.